You may have breathed a sigh of relief after filing your 2017 income tax return (or requesting an extension). 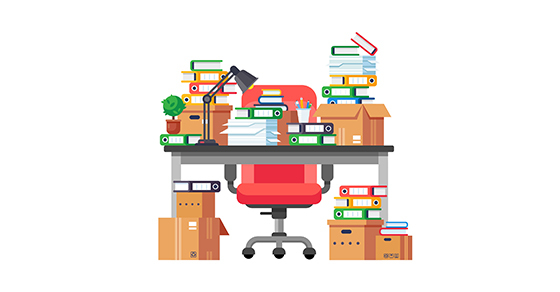 But if your office is strewn with reams of paper consisting of years’ worth of tax returns, receipts, canceled checks and other financial records (or your computer desktop is filled with a multitude of digital tax-related files), you probably want to get rid of what you can. Follow these retention guidelines as you clean up. Retain records that support items shown on your tax return at least until the statute of limitations runs out — generally three years from the due date of the return or the date you filed, whichever is later. That means you can now potentially throw out records for the 2014 tax year if you filed the return for that year by the regular filing deadline. But some records should be kept longer. For example, there’s no statute of limitations if you fail to file a tax return or file a fraudulent one. So you’ll generally want to keep copies of your returns themselves permanently, so you can show that you did file a legitimate return. Also bear in mind that, if you understate your adjusted gross income by more than 25%, the statute of limitations period is six years. Records substantiating costs and deductions associated with business property are necessary to determine the basis and any gain or loss when the property is sold. According to IRS guidelines, you should keep these for as long as you own the property, plus seven years. The IRS recommends keeping employee records for three years after an employee has been terminated. In addition, you should maintain records that support employee earnings for at least four years. (This timeframe generally will cover varying state and federal requirements.) Also keep employment tax records for four years from the date the tax was due or the date it was paid, whichever is longer. For travel and transportation expenses supported by mileage logs and other receipts, keep supporting documents for the three-year statute of limitations period. Regulations for sales tax returns vary by state. Check the rules for the states where you file sales tax returns. Retention periods typically range from three to six years. It’s easy to accumulate a mountain of paperwork (physical or digital) from years of filing tax returns. If you’re unsure whether you should retain a document, a good rule of thumb is to hold on to it for at least six years or, for property-related records, at least seven years after you dispose of the property. But, again, you should keep tax returns themselves permanently, and other rules or guidelines might apply in certain situations. Please contact us with any questions.